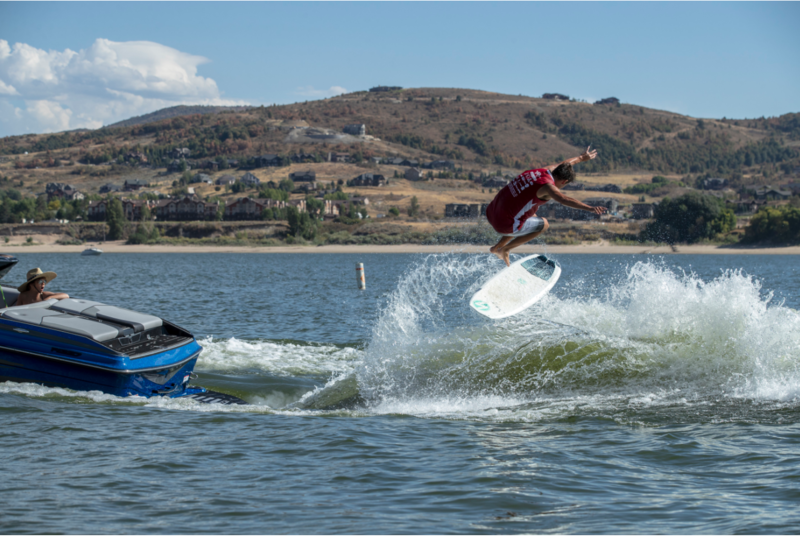 MERCED, CA (March 22, 2019) – Centurion Boats is excited to announce its newest addition to the team Conner Burns a 2x World Wake Surfing Champion. In 2016, Burns went undefeated and won the Amateur World Championships. The following year, he skipped the Outlaw division and went straight to the Pro division where he podiumed numerous times and finished fourth at the Centurion World Wake Surfing Championship presented by GM Marine. In 2018, Burns podiumed at every competition he attended and took the gold medal at the 2018 World Wake Surfing Championship in Ogden Valley, Utah behind the 2019 Centurion Ri257. Above all Burns’ accomplishments within the sport, he is also humble, hungry and smart. Centurion & Supreme Boats selects athletes who align with the Correct Craft culture pyramid practicing humility, inspiration and emotional intelligence. These are the same reasons Connor’s local Phoenix, Arizona Centurion Boats Dealer, Century Marine, is so excited about Burns joining the team. Burns expresses these values on and off the water. For as long as Burns can remember, he has been going to the lake with is family. In 2016, the Burns family bought their first wakesurf boat and since then he has loved pushing himself to land new tricks and advance the sport of wakesurfing. While Burns is an only child, he now has the opportunity to meet new people across the globe and learn about different cultures through wakesurfing. Learn more about Burns at www.connorburnsurf.com or follow him on social: Instagram @connorburns, Twitter @connorburnsurf, Facebook Connor Burns. About Correct Craft: Celebrating 94 years of excellence in the marine industry, Correct Craft is a Florida-based company with global operations. Focused on “Making Life Better,” the Correct Craft family includes Nautique, Centurion, Supreme, Bass Cat, Yar-Craft, SeaArk, and Bryant boat companies, Pleasurecraft Marine Engine Group, Watershed Innovation and Aktion Parks. For more information please visit www.correctcraft.com.